CENTERPIECE Once upon a time in ‘Nam, Doc (Steve Carell), Sal (Bryan Cranston) and Mueller (Laurence Fishburne) were an inseparable trio. Then something horrible went down, one of them took the fall, and they stopped speaking to each other. Decades later, Doc tracks down his fellow vets—Sal’s an alcoholic bar owner; former hellraiser Mueller is now a man of God—to ask for a favor: His only son has just died in combat in Iraq. He needs them to accompany him to identify the body and to join him on one last mission. This sequel to The Last Detail—like Hal Ashby’s 1973 classic, an adaptation of a Darryl Ponsican novel—is a funny, talky, emotionally resonant road movie. 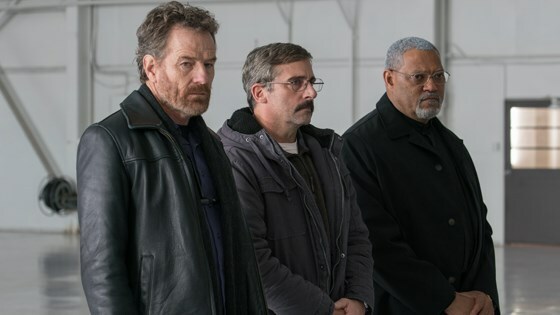 But this Richard Linklater masterwork is also a moving, heartbreaking tribute to the bonds forged in warfare and a penetrating, performance-driven actors’ showcase that boldly asks why we fight— and how we as a nation heal from the damage done. Director and writer Richard Linklater is the filmmaker responsible for such films as Dazed and Confused (1993); Before Sunrise (1995), Before Sunset (2004); and Boyhood (2014), which won multiple BAFTA and Golden Globe Awards, and an Academy Award. He also directed such diverse films as the Western/gangster picture, The Newton Boys (1998); animated feature Waking Life (2001); real-time drama Tape (2001); hit comedy School of Rock (2003); and, most recently, Everybody Wants Some!! (2016). Other film credits include Slacker (1991), Suburbia (1997), Bad News Bears (2005), A Scanner Darkly (2006), Fast Food Nation (2006), Inning by Inning: A Portrait of a Coach (2008), Me and Orson Welles (2009), Bernie (2012), and Before Midnight (2013). 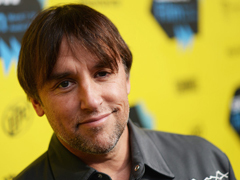 Linklater serves as the artistic director for the Austin Film Society, which he founded in 1985. Now one of the nation’s top film organizations, the Austin Film Society shows hundreds of films a year, operates educational programs, and since 1996, has given out more than $1.5 million in grants to Texas filmmakers.